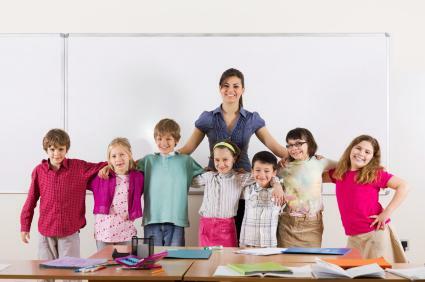 Starting a career as an elementary school teacher can be an exciting and rewarding experience. Earning a degree in elementary education is an impportant step to entering this field, but it is not the only one. In order to start your career, you have to ace the interview. By using these quick tips for elementary school interviews, you'll come away with the job and be well on your way to shaping young minds in the classroom. Read up on the philosophy of the district's Superintendent and the Parent Teacher Association (PTA). Understanding the philosophy and involvement of these parties can help you better understand the future of the district. If the school where you want to work has its own website, make sure you check it out and educate yourself on any special programs or services offered. Focus especially on those geared toward the grade level you want to teach. Learn about the demographics of the elementary school. While demographics won't tell you everything you need to know, they can give you hints about the potential for parent involvement, student discipline problems and overall student success. See if you can arrange to talk to another teacher currently teaching the grade level you're interviewing for. Hearing information about the school and the students from another teacher can better prepare you to answer position-specific questions during the interview. Review common teaching interview questions, particularly behavioral interview questions, so that you're ready for common questions. Keep in mind that no interview is the same, and you'll probably be faced with at least a few "surprise" questions, but the fewer surprises during the interview, the better off you'll be. The instant you walk into the elementary school, you begin making an impression on those around you. Make sure you make a good first impression by dressing the part. You may be tempted to dress in typical "elementary school teacher" clothing - slacks, a button down and a sweater - but ignore the temptation and dress professionally in a conservative business suit. This is especially true if you're looking for your first job out of college. Make sure that the way you dress lets the principal and other teachers to know that you take your job seriously. In addition to extra copies of your resume, it's important that you have a portfolio to show the interviewer. You want your portfolio to highlight your best lesson plans and your favorite projects, particularly those geared toward elementary school students. Because most elementary teachers have to teach all major subjects, try to incorporate a broad range of subject-specific lesson plans in your portfolio. To make your portfolio especially appealing, try incorporating pictures of your students participating in the lessons or examples of your students' work. If you are looking for your first teaching job, you can include examples from your student teaching expereince and relevant classroom projects. The interviewer will want to make sure that you're fully prepared to teach in an elementary school environment. This means that he or she will probably ask you questions regarding student discipline, teaching theory, classroom organization and management, working with parents and working with other teachers. These questions will commonly be posed in a behavioral format, asking you to give specific examples of how you have handled a similar situation in the past. Think carefully about the question. If the principal is asking for a specific example, take your time to think of the best example from your own experience. Whenever possible, use an example from your experience in an elementary school setting. If you don't have prior elementary school teaching experience, make sure you explain how your example can be applied to an elementary school setting. Schools, just like any other organization, sometimes have specific challenges that they're facing, and their interview questions will reflect these challenges. If an interviewer asks a number of questions about handling discipline problems or cooperation techniquest for working with teachers and parents, don't be afraid to follow up with questions of your own. An interview is a two-way street. You should feel comfortable asking if there are any particular challenges that this teaching position would face. Not only will the informaiton help you know whether you'd be a good fit at the school, it can also help you answer the interviewer's questions. Interviewers expect you to be a little nervous, but they don't want this to interfere with your ability to answer questions appropriately. As a teacher, you have to be "on" in front of a class every day, and your performance during an interview can help the interviewer understand how you would perform in front of a class. Speak steadily and conversationally and don't be afraid to smile. At the end of your interview, make sure you ask any questions that you don't feel have been sufficiently answered yet. For instance, some elementary schools use team teaching techniques or ask certain teachers to teach a particular specific subject to an entire grade. This would be important information to know. Also, questions about the school's security, field trip policies and whether students participate in recess, PE and fine arts programs will help you understand the daily schedule for your students. You will also want to know when the position starts, as most teachers begin working at least a few weeks before the start of the school year in order to organize their classroom. If you haven't had the opportunity to tour the school or see the grade-level classrooms, this is the appropriate time to ask for a tour. After your interview, take a few moments to ask yourself whether the job is a good fit for your career goals. If you're excited about the possibility, be sure to send a thank you letter to the interviewer, highlighting your strengths and reiterating your interest in the job. Chances are, your professional attitude and strong interview answers will have impressed the principal and other teachers, making you a shoo-in for the job.